Modern and mobile communikation medium for the optimized search of car colours. 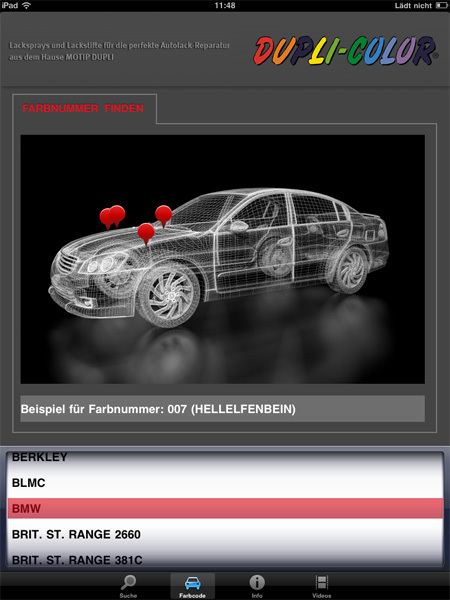 The DUPLI-COLOR AutoColor-App enables to find very quickly your car colour shade, which you need for the repair with a DUPLI-COLOR Auto-Spray or a matching touch-up pencil. So you can find your colour tone out of a great many of shades in a fast and efficient way – either on the way or in the shop. You can chose from a selection of more than 14'000 colours of more than 70 car manufacturers. To be honest – Who does really know the correct colour code of his beloved vehicle? What to do if you want to repair a small scratch by yourself and you cannot find the right colour? Now you get help with the mobile search function of the DUPLI-COLOR AutoColor-App. You can manage the variable search for the right DUPLI-COLOR AutoColor colour ID number with the help of the original car colour code or with the colour name given by the car manufacturer. In case you do not know both, the desired colour can be found via indication of the manufacturer combined with a simple colour indication and/or year of construction, which you can chose from selection fields. With the apple-typical finger touches you can select the right functions in a very quick and easy way. The clearly displayed search results allow you to find your relevant AutoColor-no. at your dealer’s sales rack. 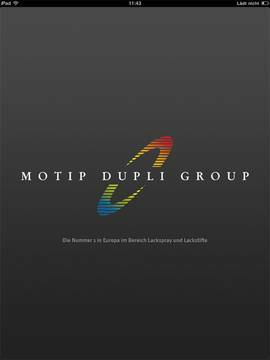 What you could already use online under www.motipdupli.de, is now also available at any time for on the way under Apple iOS – for iPhone and iPad. In the section “Info” you’ll get technical product information, safety data sheets and application tips for the proper paint repair. Who wants to know it even more exactly, can watch the repair of a paint damage in a video spot. There will remain no open questions. 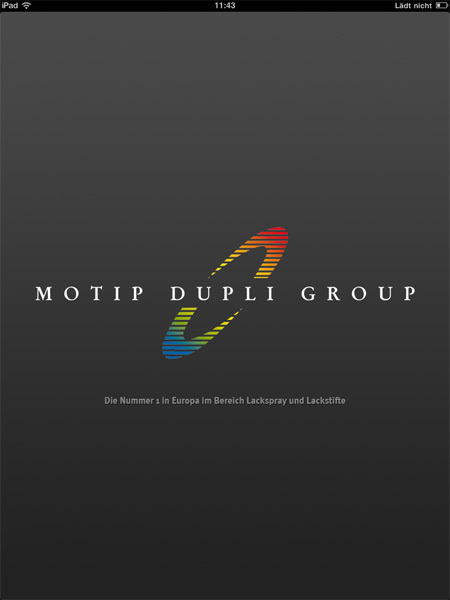 The DUPLI-COLOR AutoColor-App is available for free download in the Apple App-Store.